Don’t you just love the colors of Fall? I love the mix of gold, red, green, yellow and bronze mixed with the varying shades of brown. And, after a light rain when the sun comes out the shimmer and sparkle on those fallen leaves is just so captivating! I could live year-round with Fall colors. In fact, I usually do! My wardrobe usually consists of lots of browns, golds and reds. Those same colors often filter into my creative works as well. I think it’s because I find them calming. These colors are more subdued and quiet. I’ve never been a fan of ‘in-your-face bold and colorful. So when I received my Art Glitter design team packet for the Tombow cross promotion this month I was a happy camper! My set of markers had all my favorite colors so I couldn’t wait to get busy and create using them. I’ve had this photo frame hanging around forever and decided to utilize it for this project. I began by placing the frame on the pretty plaid paper from Little Yellow Bicycle’s Acorn Hollow collection, traced around it and cut it out. I then used Glastique Gloss Finishing Glaze as a collage medium by painting in over the frame. I laid the paper down on it and used a brayer to ensure good contact. I sanded all the edges before applying adhesive tape. Once the tape was laid down on all the outer edges I sprinkled Honey Dew 318 Ultrafine Transparent over the tape. 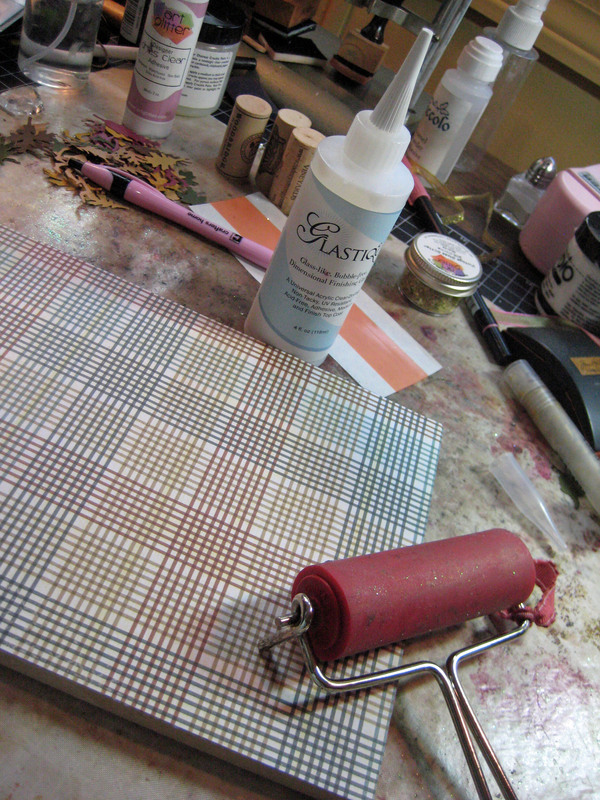 I also ran the brayer over the glittered tape to make sure it would stay put. 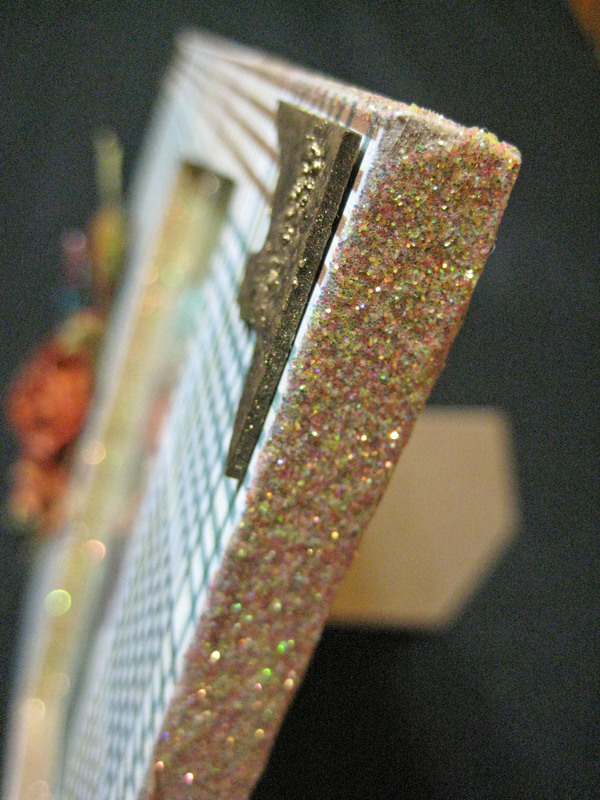 I also put adhesive tape on the inner edge of the photo opening and sprinkled that with the same glitter. I pulled out some KaiserCraft Paper Blooms in Terracotta. Love this color and it works so well with the plaid paper. I experimented with painting the leaves and flowers with Glastique Gloss Finishing Glaze and while it was wet I lightly sprinkled some of the Honey Dew Art Glitter over them. They all turned out just as I had hoped! 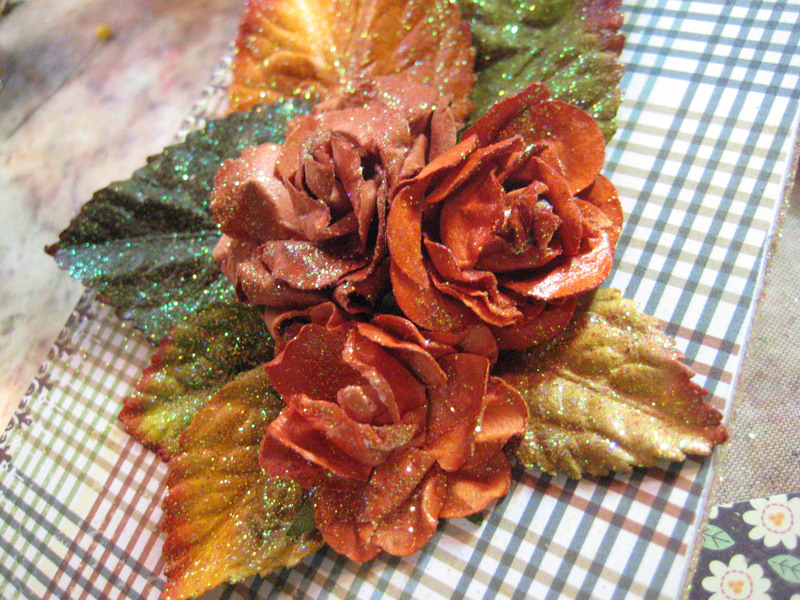 The Glastique sealed the leaves and flower blooms, leaving them flexible and the glitter stuck perfectly. They all just really sparkle don’t you think? 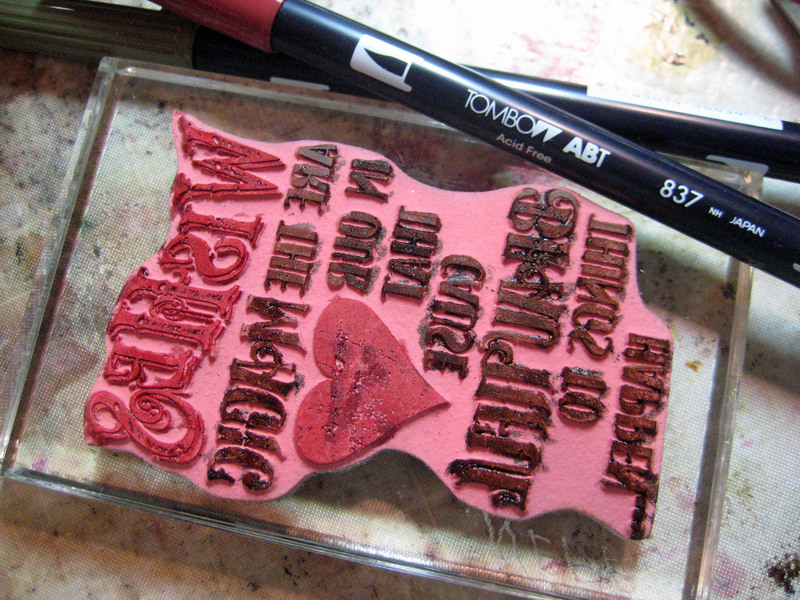 While the leaves and flowers were sitting around drying I inked a Tim Holtz stamp with my Tombow markers No. 837, 969 and N57. It’s really fun coloring in stamps with these markers because you can mix in a few colors, unlike using an ink pad that only gives you one solid color. The ink in these markers are water-base so it’s easy to bring them back to life with a huff or two. Then I stamped on some cream cardstock and heat set. 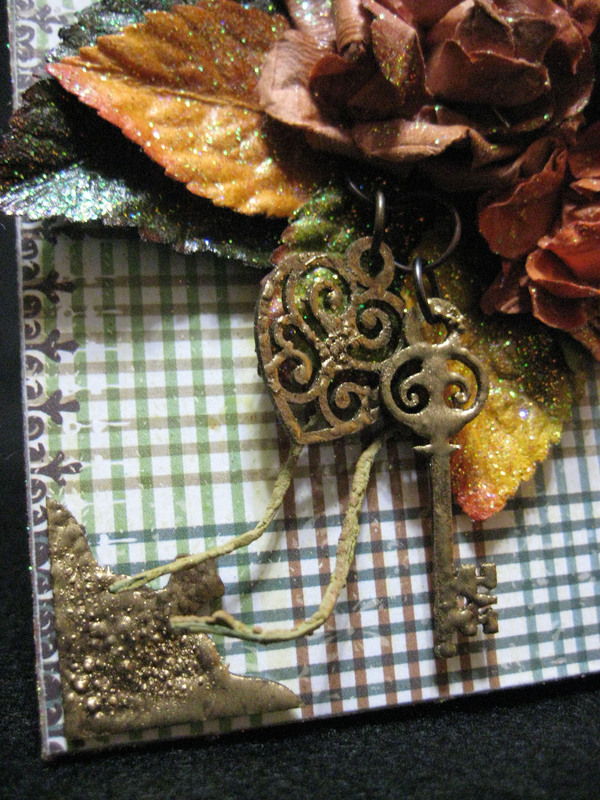 I added some Piccolo chipboard corners that I coated with Piccolo Vintage Gold Enamel Powder and heat set, then decided to include a Piccolo Filigree Heart and Key that I also used the Vintage Gold Enamel on. I added these to the leaves and flowers decoration with a few jump rings and thin wire and tucked in a couple leaf-style stick pins. Way cool! 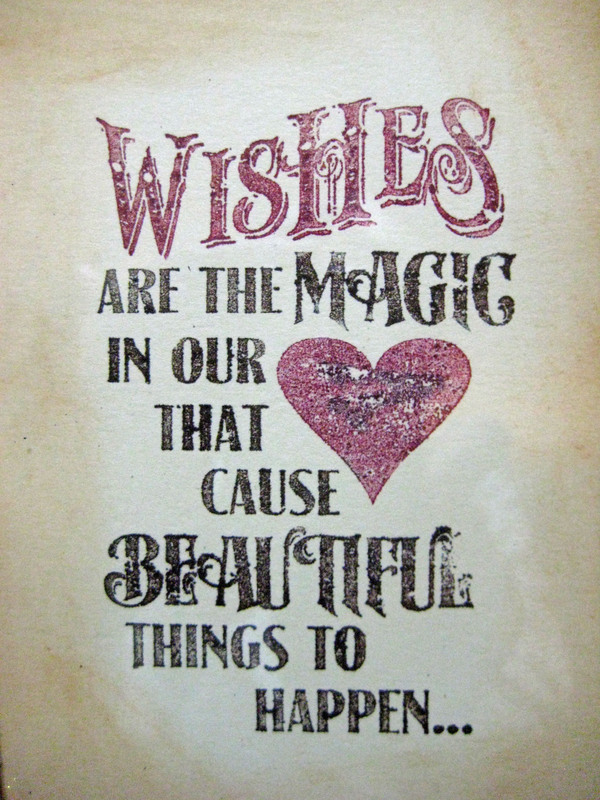 I placed the Tombow-stamped ‘Wishes’ quote behind the glass and it was finished. I think this will make a nice gift for someone and if they don’t want to add a photo that’s fine – the quote fits beautifully! 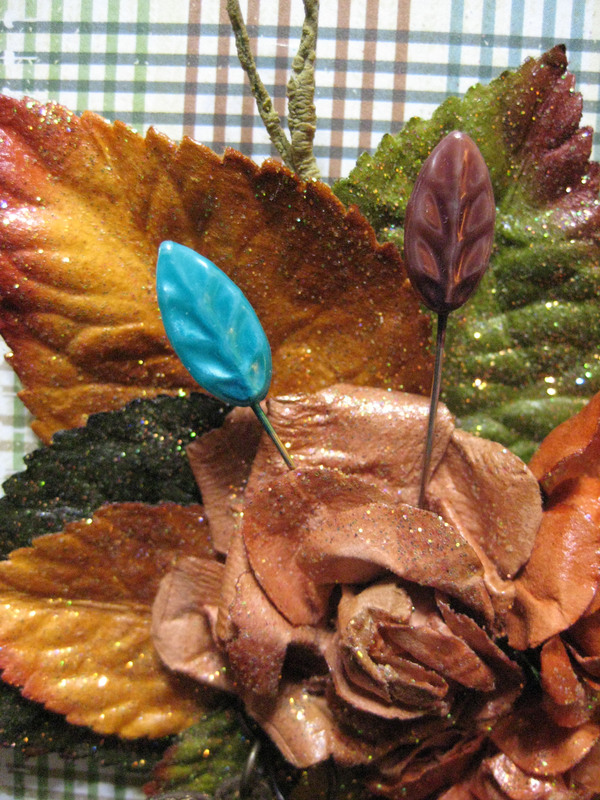 Have you ever tried brushing glue on an object and sprinkling with glitter? 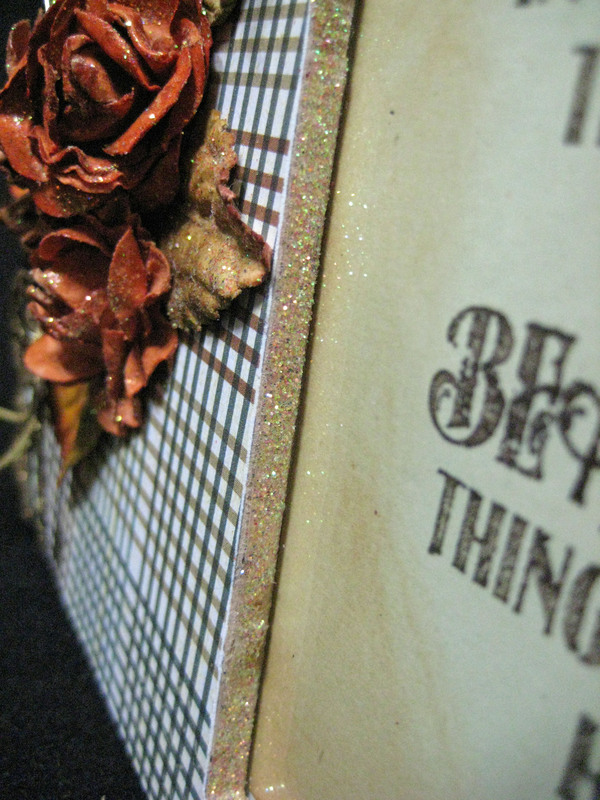 Shoot on over to the Art Glitter blog to see my other project using Art Glitter and Tombow! Just beautiful, Linda! 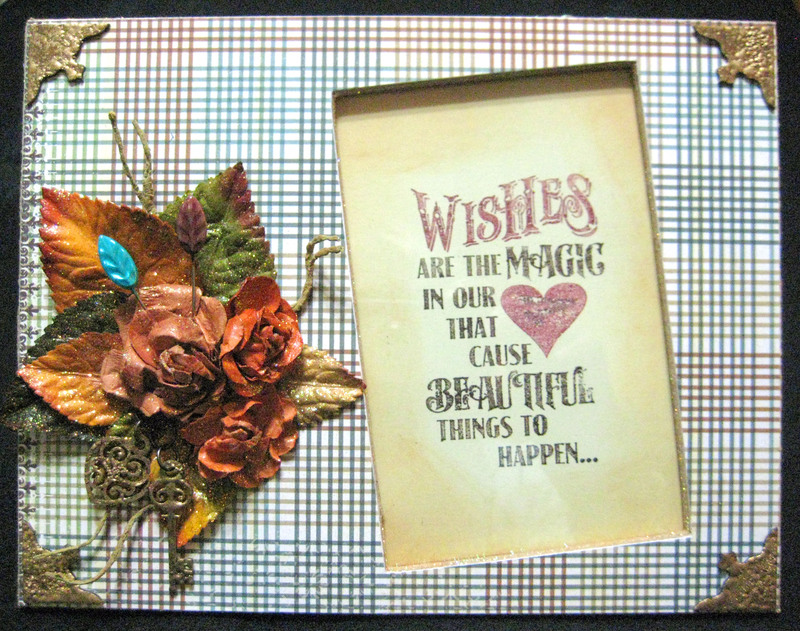 Love the sentiment and your embellishments, plus the fine finish on the edges. Thank you, Robin. I love giving frames as gifts and these colors should work just about anywhere. This is so pretty! I love the flowers! I was pleased with the results of painting on the Glastique in Gloss and sprinkling on the glitter. It really makes them shimmer! I love the colors also, all the new products…I can’t keep up! 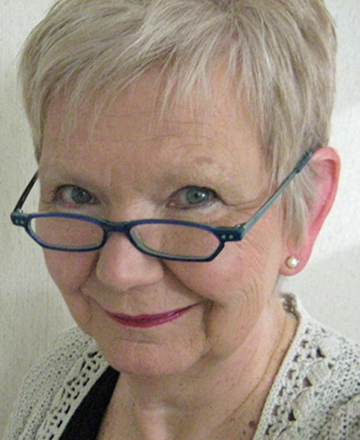 I know what you mean about products – fun stuff!